CafePress.com 20% Off Coupon Code - April 2019 Site-wide Promo Codes! Offer Valid 2/1-2/28, Exclusions Apply. Add the code before 2.28/2019. Game of Thrones gift ideas. Winter is Here. Save 20% off. 20% off your Valentine's Day gifts. $25 Personalized Steling Silver Necklaces. Apply this code and get the discount. Whoa, another 25% off code? That's right. Apply and save. Spend and take off 20%. Enter this code and you'll save 20%. Get ready for summer with these deals. Up to 60% off - hurry and buy now. CafePress.com is an online retailer with over one billion items. It was founded in 1999 by Fred Durham and is headquartered in Louisville, Kentucky USA. The merchant sells stock and user-customized products like bags, T-shirts, calendars, wall clocks, mugs, and a myriad of other products. 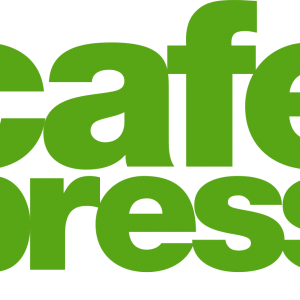 Over the years, CafePress.com has evolved into a celebrated platform. It strives to create a more engaged world to showcase everyone’s unique identity. The site has partnered with other businesses like Urban Outfitters, ABC, 20th-century Fox, Marvel, and Peanuts Worldwide by providing power online custom shops. Today, over 150,000 unique designs are added every week. You’ll find a wealth of products including apparel for men, women, and children. In addition to that, the merchant offers drinkware, accessories, stickers, stationery, and a variety of other products. Despite the high competition, more than 12 million people visit the site every month. The company also targets its services to home offices and small businesses. Since CafePress handles all the printing, there’s very little for shop owners to do. The site continues to embrace its start-up origins by giving artists a platform to sell their own design, providing infinite possibilities. It’s a good way of helping people express their creativity. CafePress.com has more than two million virtual shops each having its numerous designs of products to choose from. In 2011, the merchant won the People’s Voice Webby Award – commerce category. When you go to CafePress.com, you’ll find great prices on products. Ideally, the cost of the product is based on item, image, and the quantity ordered. If you want to save more, you can take advantage of coupons. Go to the homepage and look at the right-hand corner of your screen. Next, apply a discount code/promo code and you’ll see the discount amount. Just like other online retailers, only one promotion code is allowed per order. To shop using the coupon codes, simply click on the item you wish to order and locate the product details. You can now enjoy as much as 45% off the purchase through coupon codes. Why waste a dollar when you can get more on coupon codes? Be budget savvy and enjoy the amazing deals. And when you join the CafePress email list, you’ll be notified of exclusive offers and promo codes to help you save more. You can get in touch the merchant via email address (info@cafepress.com), or call them through +1-877-809-1659 toll-free for US & Canada citizens and +1-919-323-4480 for international citizens. These numbers are open from Monday to Saturday from 9.00am to 6.00pm EST. The customer service agents will reply the emails on a first-come, first-serve basis. If you send an email overnight, you’ll get a reply the following business day. Customers can also contact the merchant via Facebook (CafePress). The twitter handle is @cafepress while the Instagram handle is Cafepress. If you need any help, the customer service representatives are available from Monday to Saturday (9.00 to 6.00pm). And if you’re looking for design or creative ideas, you can learn more about CafePress.com on Pinterest. Social media also offers a good opportunity to make money by referring other buyers to the merchant. You’ll also find Cafepress on LinkedIn. The only down downside with the site is that they don’t offer live customer support chat service. Nevertheless, the customer service team has proved to be helpful. Many customers have expressed their satisfaction with how their case is handled. CafePress.com produces every item on-demand. If you don’t like the product, you can exchange it for free or return it within 30 days (even if it’s personalized). This is plenty of time to check the quality of the item. As a sign of quality craftsmanship, every product comes with a 100% satisfaction guarantee. If for any reason you need to return the product(s), contact the customer service department and you’re done. However, you have to fill a form online and then select `refund’ as the reason for contact. The same applies if you want to change the product. The merchant will send instructions and an RMA on how you can send the items back. To ensure accuracy, you should note the ID of the products you wish to return. Express shipping takes 2-3 days while standard shipping usually takes 3-5 business days. All customers are responsible for return shipping costs. Note: the merchant cannot change the quantity, size, color, or personalization on your order once it has been submitted. If you wish to make changes after you return the product, you should place a new order. If you’re experiencing trouble on the site, you can find answers at the help desk.